Apple Watch Series 3 was unveiled at the company’s annual event on Tuesday. The new version will have cellular and GPS capability, which means you can leave your phone at home and still receive calls and messages. But because of this, the latest Apple Watch isn’t any thinner (technically it’s slightly thicker). It’s also available in new colors. After introducing the ceramic white watch material last year, this year Apple is introducing a ceramic gray. 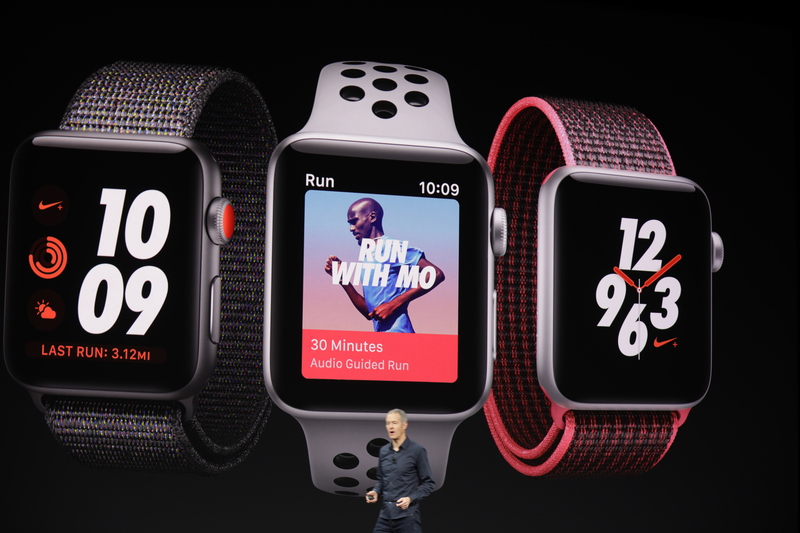 They’ve also introduced new bands and watchfaces for its Nike and Hermes partnerships. Nike will be adding an audio coaching feature. The new watch is available for order on September 15 and they ship September 22. 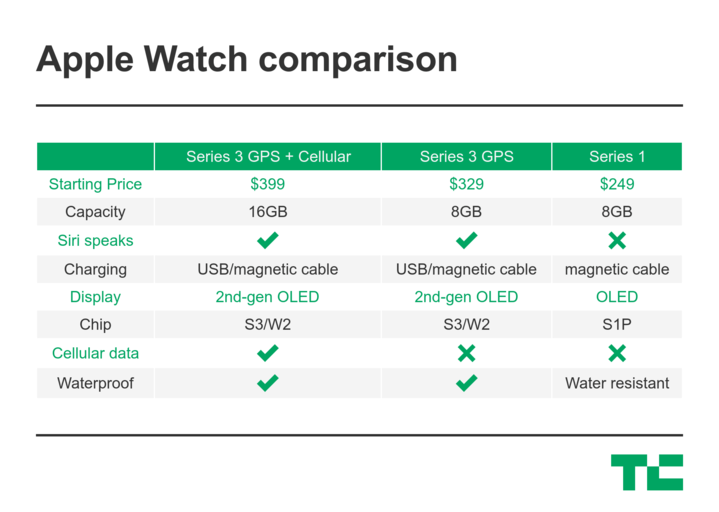 The cellular watches start at $399 and, depending on the band, can cost much more. A cellular-free version starts at $329. The company touted the watch’s heart monitoring, 70 percent faster dual core processor and up to 18 hours of battery life. It’s also swimproof and can now measure additional sports activity like skiing and snowboarding. Here are the rest of the details. We’re also going to be updating you about the new iPhone.